Matt Purcell is one Australia’s leading life coaches, presenters, a successful businessman and an accomplished musician and song-writer. Today, Matt Purcell is a regular guest on popular television programs Australia wide, an Australian of the Year Nominee, a social media influencer, an accomplished speaker, author, and life coach, however, Matt’s life wasn’t always one of accolade and success. In fact, Matt was born in a small town in South Korea called Cholla-Bukto to a young mother who was unable to raise him. Matt is a qualified Life Coach and a successful business owner of multiple businesses. Furthermore, Matt is often invited to schools, training centres, and events to speak to audiences of all ages about understanding mindfulness, mental health, goal setting, and focusing on positive decision making. He is an in-demand speaker, who is often invited to deliver keynote presentations at conferences, or seminars across the country. Matt has been acknowledged for his entrepreneurial ideas and was the recipient of the LMBEA Outstanding Young Entrepreneur Award. Matt is an NDIS provider, he helps dozens of families that have mental illness through his programs. Matt founded The Examined Life Podcast that regularly reaches the #1 position in the Australian iTunes Charts. The Examined Life interviews high profile Australians to hear their current views about the world, their challenges and beliefs that had lead them towards making better decisions. Matt is part of Life Church, Newcastle which through their charitable arm Soul Cafe feed 1000 homeless individuals a week, offering free legal aid, housing and more services. Recently Matt was nominated as Australian Of The Year for his work with youth in his community. 'ORIGINAL MUSIC IS HARD TO FIND NOW DAYS AND MATT'S IS QUITE REMARKABLE. I AM DEFINITELY NOT AFRAID TO SAY THAT I AM A FAN OF MATTS MUSIC'- Hall Of Fame ARIA Inductee Renee Geyer. Matt is regularly asked to speak and advise schools and business's on ways to improve their services and well being. He has appeared on national television speaking on youth issues. 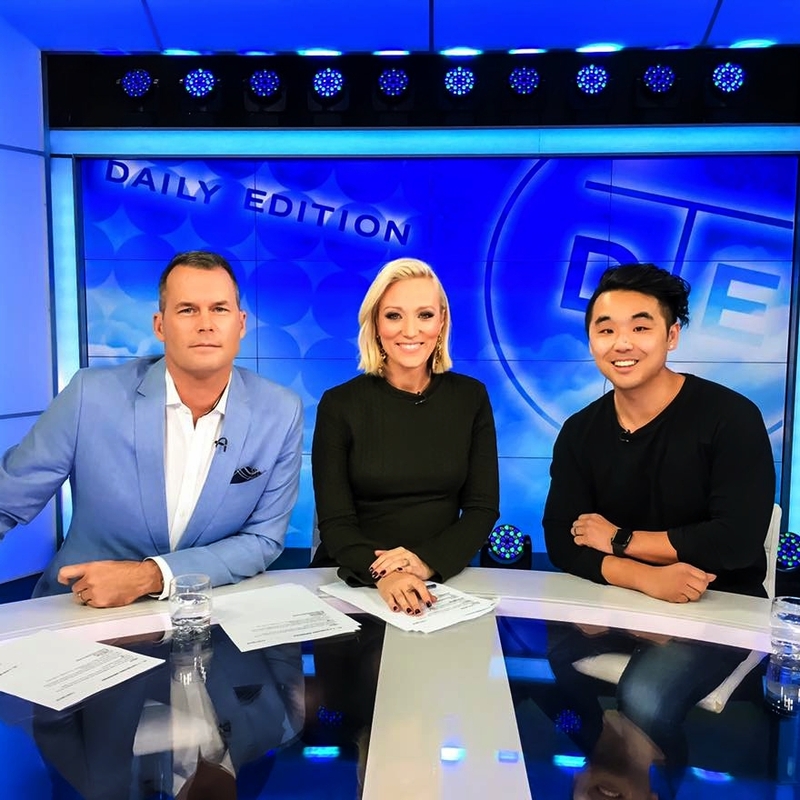 Take a look at Matt's appearance on 'The Daily Edition'. Matt and his wife Courtney founded The Green Room in 2013 which is a growing multi-campus business that coaches hundreds of families weekly in music, academics, life coaching and creative arts . TGR also run youth camps, concerts and support dozens of individuals with disabilities as NDIS Providers. Matt interviews high profile individuals including guests Mark Bouris, Osher Gunsburg, Janine Allis, Pete Evans, Dami Im and more about their beliefs, strategies, businesses and stories. Regularly #1 ranked in Australia.